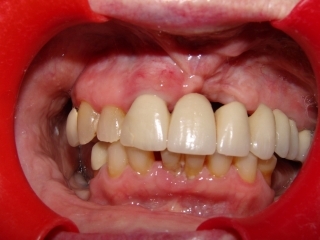 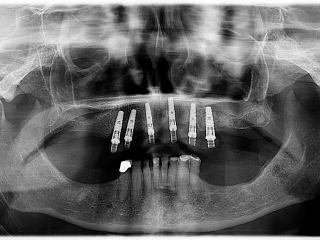 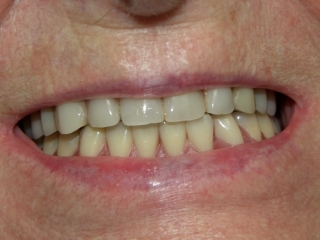 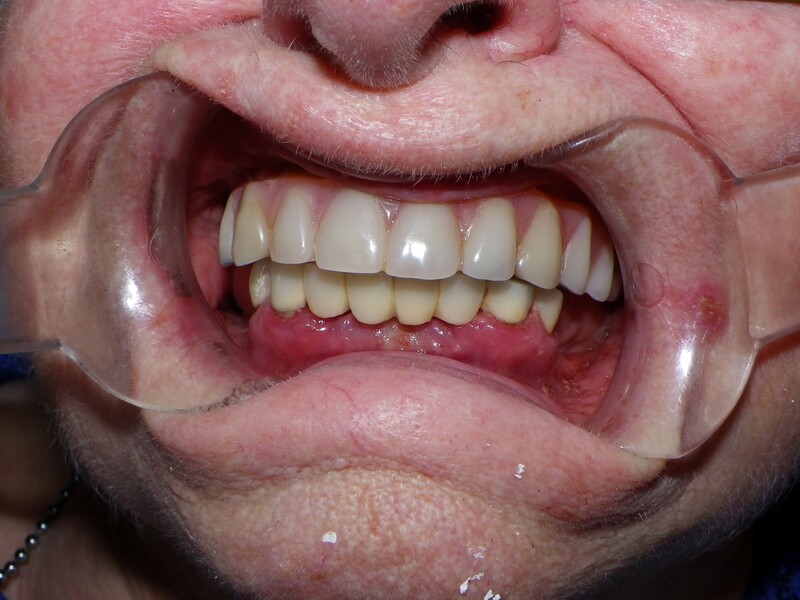 This is a wonderful case of a patient who had failing bridges for years. The upper teeth had been failing and the patient had experienced moderate bone resorption (bone shrinkage due to early loss of teeth).Due to the advancement of implant surgery the patient was able to have a full set of teeth supported by 6 implants. 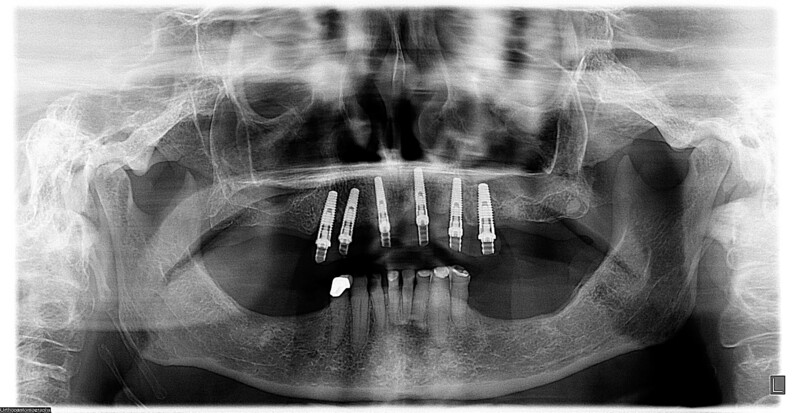 The maxilla (upper arch) had 6 implants placed into the alveolar bone and a temporary set of teeth were immediately screwed into the implants. The implants in combination with the teeth heal for a minimum of 9 months then a new set of teeth are placed onto the implants. 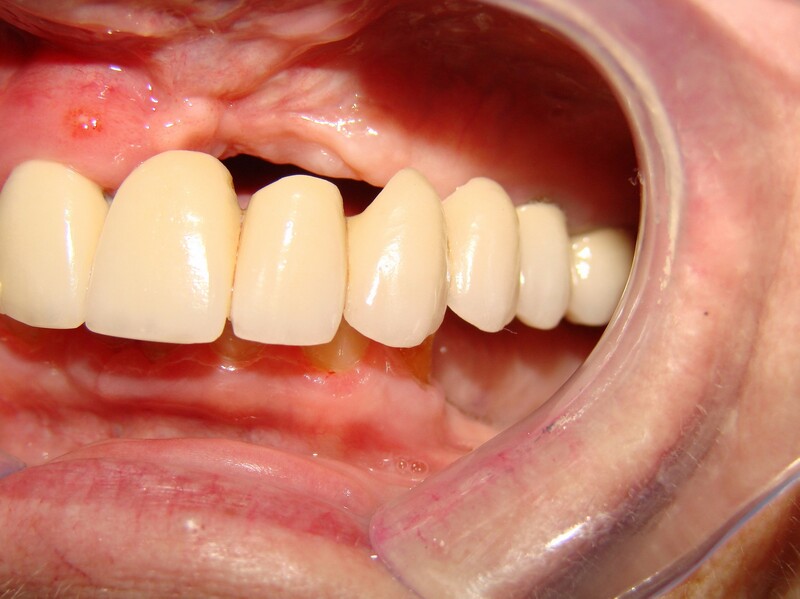 The new teeth are supported by a titanium bar and wrapped around the bar is acrylic (gums) and teeth.